FILE - In this Monday, Jan 7, 2019, file photo, Gov. Michelle Lujan Grisham speaks at a news conference in Albuquerque, N.M. 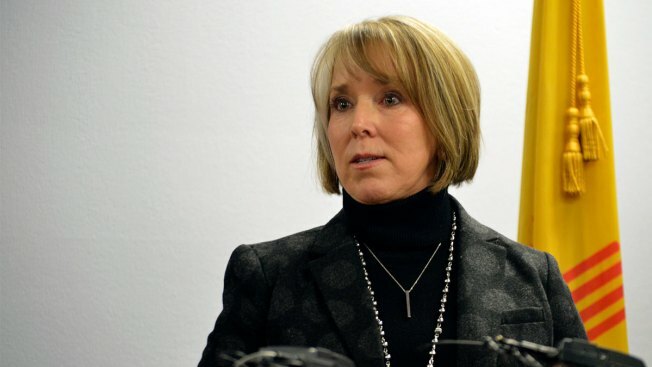 The governor of New Mexico ordered the state’s National Guard to withdraw a majority of its troops from the southern border, slamming what she called President Donald Trump’s “charade” shortly before his State of the Union address, NBC News reported. “New Mexico will not take part in the president’s charade of border fear-mongering by misusing our diligent National Guard troops,” Democratic Gov. Michelle Lujan Grisham said in a statement.